An award-winning Students’ Union needs a good home. 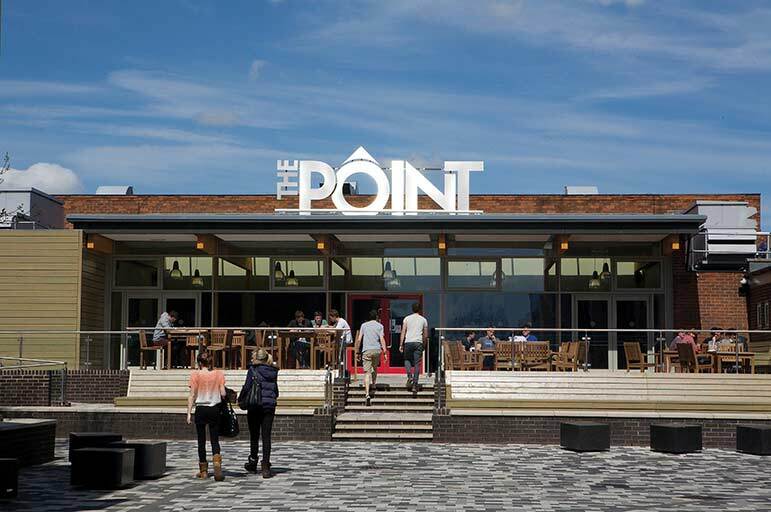 Based at the heart of our Clifton Campus, The Point is a pub, club and diner, rolled into one. It’s been built to meet all of your needs, and to meet them in style. The guarantee of a good night has never been nearer, or cheaper! With more pubs, bars and clubs per square mile than anywhere else in the UK, Nottingham’s nightlife is legendary. 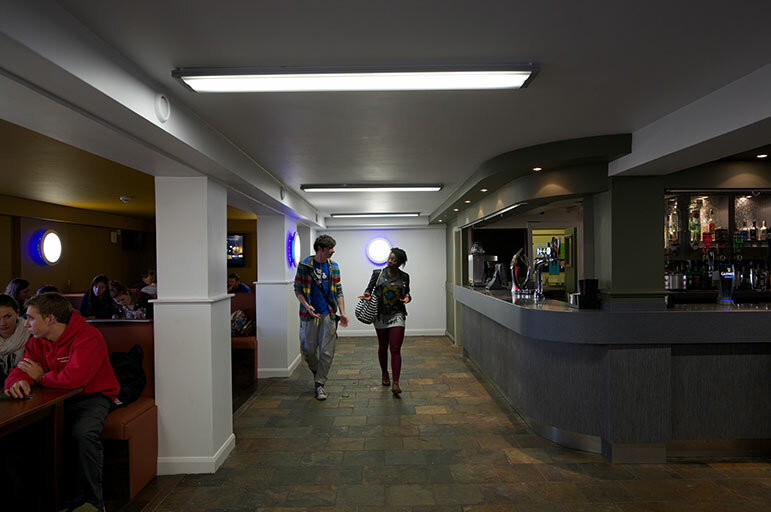 If you’re studying at Clifton, you might also want something a little closer to home – if so, The Point is a great, budget-friendly alternative, and it’s right on your doorstep. It’s an inviting social space, and it’ll soon become your home away from home. There’s something for everyone here, from pool tables, to club nights. There’s plasma screens for live sport, and an enormous 13-foot screen for the biggest games – we show all of Sky's midweek and weekend matches. With fans from across the country descending on The Point, a good atmosphere is guaranteed! But don't despair if you aren't a fan of sport; we have a regular club night on a Friday, as well as a good old weekly pub quiz. In 2015, NTSU won the NUS Students’ Union of the Year award. Killing time between lectures? Looking for something on the go, or a relaxing space to gather your thoughts? Light, comfy, and Wi-Fi enabled, The Point’s coffee shop is the place to take a well-earned break. Meet your mates, or recharge your batteries in peace – we’ve got our own Costa Coffee outlet as well as cakes, salads, sandwiches, and a wide range of tasty treats. What’s more, every penny spent here goes straight back to the Union. You’re not just grabbing a bite to eat – at The Point, you’re investing in your own future, and your own fun. Go local, and help us to help you! The SU Building hosts NTSU’s Information and Advice service. You’ll get an answer for everything – so whether you’re trying to get an event off the ground, or needing some general guidance, drop in for a chat.